In Russia, the markets were higher at the close on Monday, with investors waiting for big stimulus actions from China and the US. The RTS Index and Micex Index each gained 0.3%. ­“Investors in Russia and the US look too optimistic ahead of key decisions this week, and primarily the German Constitutional Court’s ruling on the fate of the European Stability Mechanism, and a negative decision may plunge the markets into a new wave of gloom,” says AForex analyst Sergei Kovzharov. Asia shares declined on Tuesday as investors grew cautious ahead of Wednesday’s decision in German on European Stability Mechanism and the Federal Reserve’s policy meeting on Thursday where the US central bank may announce a third round of quantitative easing to boost growth, following a weak jobs report for August. A weak euro hit exporter stocks in Japan. 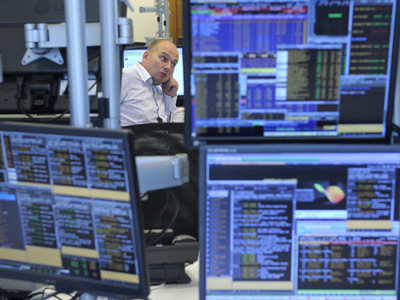 The Nikkei Stock Average dropped 0.8%, South Korea’s Kospi lost 0.3%. In China, the Shanghai Composite Index fell 0.9%, while Hong Kong’s Hang Seng dropped 0.62%. US stocks were lower on Monday with investors too nervously anticipating the Federal Reserve’s policy decision later this week. 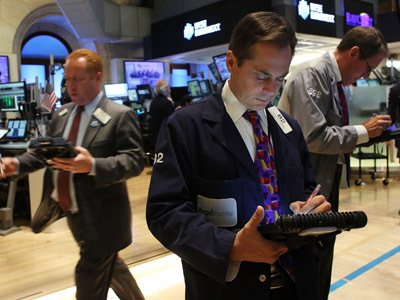 The Dow Jones Industrial Average contracted 0.39%, the S&P 500 index SPX fell 0.61%, the Nasdaq Composite slipped 1.03%. 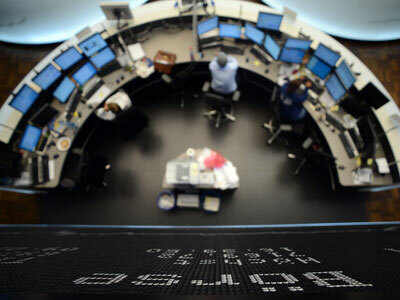 European stocks ended Monday in the red, putting an end to last week's rally, despite the release of better-than-expected Eurozone economic data. Eurozone investor sentiment improved this month for the first time since March, owing to the European Central Bank's plans to rescue the common currency, the Sentix research group said on Monday. The index improved by 7.1 points to -23.2 in September from a reading of -30.3 in August. Analysts had expected the index to deteriorate by 0.4 points to -30.7 in September. Investors remained cautious ahead of the German court decision on the European Stability Mechanism on Wednesday and the outcome of Thursday’s Fed policy meeting. Miners were higher in London on the back of comments from UBS, which said the outlook for the UK mining sector is improving as expectations for quantitative easing increase. 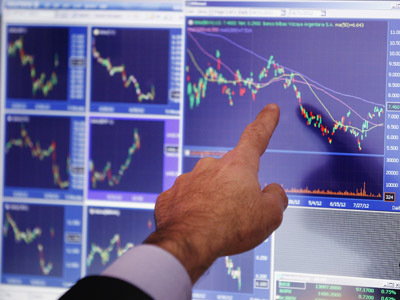 The FTSE 100 inched lower by 0.03%, the EURO STOXX 50 dropped 0.40%, France’s CAC 40 fell 0.37%, while Germany’s DAX 30 was flat to negative, slipping-0.01%.